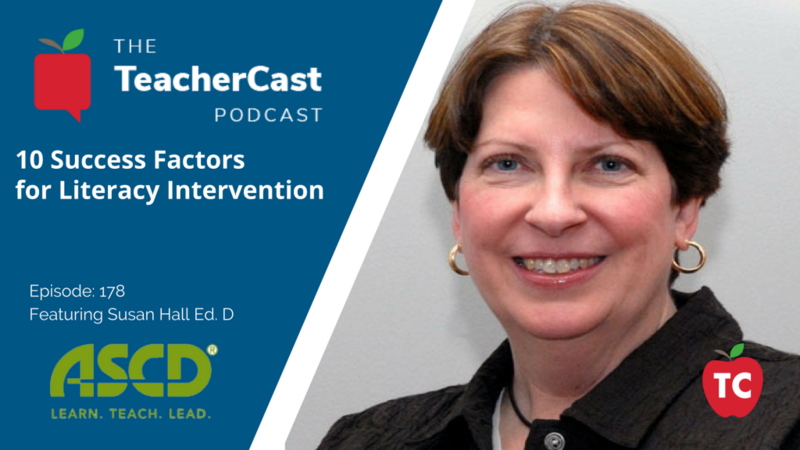 In this episode of the TeacherCast Podcast, we welcome author and CEO of the 95 Percent Group, Susan Hall on the program to discuss the importance of Literacy Intervention in the primary grades. 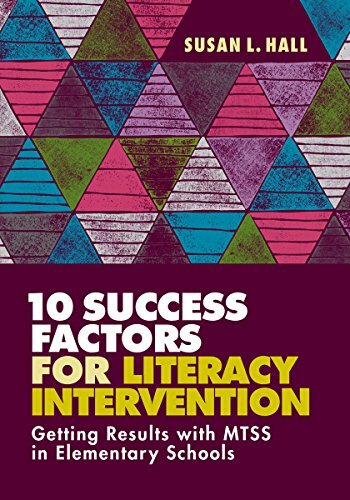 Check out Susan’s new book “10 Success Factors for Literacy Intervention: Getting Results with MTSS in Elementary Schools” available from ASCD. When parents suspect a reading issue what can they do? What is the state of literacy in today’s elementary schools? What should we be doing to help our students learn how to read? Schools need to make early literacy a priority. Teachers need the knowledge and resources to help teach ALL students to read. Does my child’s school assess all students with early literacy assessments 3 times a year (like well baby check-ups)? How did my child score? #3 – Use a “Walk to Intervention Model” – When small-group interventions are offered, the best approach is for children to leave their homeroom and be placed in specific skill groups that are shared across the grade level with plenty of instructors. The students furthest behind should be in small groups of no more than 5 students. This is more effective than having 1 or 2 groups in a classroom and the rest of the students working alone during this time. Chart the progress to see if the student is on an effective trajectory to reach benchmark. Susan L. Hall, EdD. is Cofounder and CEO of an educational company called 95 Percent Group Inc. The company’s mission is to help teachers and administrators identify and address the needs of struggling readers. 95 Percent Group provides professional development, diagnostic assessments, and instructional materials so teachers have the knowledge base and tools to improve outcomes for struggling readers. Dr. Hall is especially known for her expertise on the use of literacy assessment data to inform differentiated instruction delivered in small groups to address specific skill deficits. Dr. Hall is author or coauthor of 8 books about reading development, including I’ve DIBEL’d, Now What? Next Edition (Sopris, 2012), Jumpstart RTI (Corwin, 2011), and Implementing Response to Intervention (Corwin, 2008). She serves on the Dean’s Leadership Council at the Harvard Graduate School of Education. Susan can be reached at shall@95percentgroup.com. Who is the 95 Percent Group? 95 Percent Group began as a mission by Susan L. Hall, Ed. D. to help schools and school districts with their reading instruction and ensure success for struggling readers. Prior to founding 95 Percent Group, Susan was a consultant to various schools districts and State Departments of Education. During that time, Susan co-authored her first books with Louisa C. Moats, Ed.D: the award-winning book Straight Talk about Reading, published by NTC/Contemporary Books and Parenting a Struggling Reader, published by Random House in 2002. She was named by the US Department of Education as a member of the Reading First Review Panel. Dr. Hall became one of the first national trainers for LETRS and remains a national trainer today. In 2005, Susan wrote her best-selling book, I’ve DIBEL’d, Now What? and began providing workshops for educators on analyzing student data and providing differentiated instruction. While Dr. Hall was working with 8 school districts in Northwest Indiana on a long-term project, it became apparent that, while workshops can provide a good foundational knowledge for educators, a long-term, job-embedded model of professional development provided districts with best opportunity for sustained growth.